Two recognized player in IoT technologies are integrating their solutions to achieve unprecedented IoT equipment integration with an existing Building Management System (BMS) using LoRaWAN technology at the heart. In conclusion, these GTB hybrid solutions, allowing both the control of standard automation equipment and simplified instrumentation thanks to the use of Adeunis® IoT technologies, are clearly part of a modern and innovative approach. With its headquarters in Paris, France, ARC Informatique is a global SCADA provider. Driven by innovation and technical excellence, the company designs products that integrate the latest technologies including cloud and mobility solutions. Its flagship product, PcVue, provides a flexible solution with features, add-ons and tools to handle communications, networking, alarms and database management. 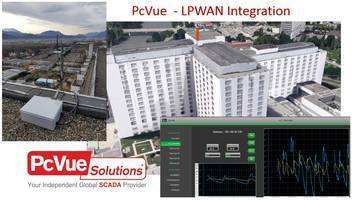 With its partner Moxa, PcVue completes its suite with Industrial Ethernet.